The KEC Board of Directors determines policy and direction that allows KEC’s Management to carry out the day-to-day business and operations of the Cooperative. The KEC Board is comprised of seven directors, five of whom represent a specific geographical district and two of whom represent the Cooperative at-large. Tim is a retired Electrical Engineer with a B.S. degree in Electrical Engineering from the University of Oklahoma and a post graduate degree from Digital Corporation’s Artificial Intelligence Fellowship program in Boston. His work experience comes primarily from three companies: Rockwell Collins in Cedar Rapids, Iowa, where he designed and was a project manager for commercial aviation cockpit instrumentation; Home Integrated Technologies in Boise, Idaho, where he was the V.P. of Engineering, designing and building home utility monitoring and control systems; and the H.J. Heinz company where for his last 16 years Tim was the Principal Engineer responsible for control systems in the Heinz North America factories. He has a Professional Engineering license from the State of Idaho. Tim has 30 years of experience managing projects where he controlled the financing, schedule, and was accountable for the results. The last 16 years before retirement, as Principal Engineer, much of his time was spent developing policies and procedures, addressing government regulations, and building consensus for technological advancement in the Heinz factories. After graduating in 1968 from Cal Poly University with a B.S. in Civil Engineering, he was employed by Pacific Gas Transmission Co. (PGT) in Spokane. For most of his 34-year career with PGT, Jim was the Director of Gas Control and Customer Transport Services on one of the largest natural gas pipelines in the United States. PGT has over 300 transportation customers who perform some 2000 buy/sell transactions and move 6 to 10 million dollars worth of gas each day. In addition to operating the pipeline, accounting for all of the transport customer’s gas, he bought and sold millions of dollars worth of natural gas. He also managed department budgets, personnel and dealt with the Federal Energy Regulatory Commission (FERC) on open access and rate case matters. Jim brings this unique experience of operating in the FERC open access environment to KEC. Whether dealing in natural gas or electricity the concepts of acquiring supply and transportation capacity in a federally regulated environment are the same. Much of KEC’s electric supply is acquired from BPA but as demand grows so will the need to participate in open market priced electric generation and transmission capacity. Both of which are regulated by FERC. Todd has over 15 years of experience working in a global business environment across a wide-range of industries including transportation, technology, energy and natural resources. He has held senior leadership roles in strategy, finance, information technology and marketing. In the energy sector he was responsible for pricing strategy and policy with GE Energy’s Power and Water Division, where he managed annual revenue streams of over $2.1 billion. Todd has led many large-scale, multi-year technology projects as well as a variety of major strategic business initiatives. He is a fourth generation native of North Idaho, and his great-grandfather was among the charter members of the Cooperative. After spending many years living on the east coast, he returned to Idaho permanently in 2008 and currently resides in Coeur d’Alene. In his spare time Todd enjoys many of Idaho’s outdoor pursuits including hunting elk, fly fishing and skiing. He is an active member of the Inland Empire’s educational technology community. Todd holds a BBA in International Business from Boise State University, and a Master of Science degree in Predictive Analytics from Northwestern University. David is the Chairman and Chief Executive Officer of Community 1st Bank. 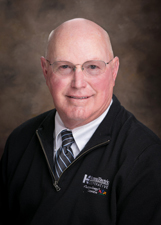 He chartered Community 1st Bank as an Idaho State Bank on June 1, 2007. Community 1st Bank is currently an $87 million bank with branches in Post Falls and Coeur d’Alene, Idaho. David attended North Idaho College and has post-graduate degrees from Pacific Coast Banking School-University of Washington, 1981, and the International Seniors Program-School of Business, Harvard University, 1995. 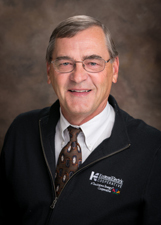 He is a career banker and actively involved in his local community while currently serving on several boards including Federal Home Loan Bank, board member and vice chair of the Audit and Compliance Committee; Pacific Coast Banking School, Chairman of the Board; Post Falls Chamber of Commerce Legislative Committee and Kootenai Perspectives, board member. 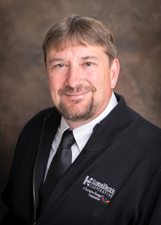 David has also held past president positions with the Idaho Bankers Association, Post Falls Chamber of Commerce, North Idaho Fair Board, the Bureau of Land Management Advisory Council and the Coeur d’Alene Chamber of Commerce Legislative Committee. 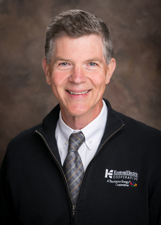 Additionally, he has served as past board member of Western Independent Bankers, WIB Service Corporation, Habitat for Humanity of North Idaho and Spokane, the Idaho-Oregon Bankers Association, the University of Montana Business School Advisory Board, the Idaho Association of Commerce and Industry, the University of Idaho College of Business and Economics Advisory Board and was Vice Chair of the America’s Community Bankers Commercial Lending Committee. Bill Swick earned undergraduate and MBA degrees in business from Washington State University and Oregon State University, respectively, and was a Certified Financial Manager. He is a life-long resident of the Pacific Northwest. Before he retired from his professional career, Bill had achieved over 30 years of management experience in leading studies and investigations of nonprofit, business, and government programs. Bill’s work led to hundreds of recommendations to improve operations and billions of dollars in savings. He has also developed a good working knowledge of the Pacific Northwest electric power industry and the importance of preserving the rights of not-for-profit utilities. His work background includes experience/knowledge in the operations of the Bonneville Power Administration. 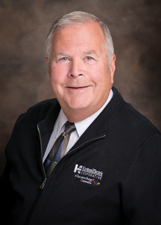 Bill was elected to the Kootenai Electric Board of Directors in 2009. 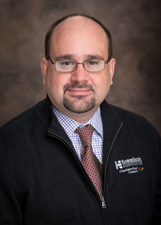 While on the Board, he has been active in all aspects of the Board’s interests, including strategic planning, setting policy, conducting oversight, and networking with external organizations that may have influence over aspects of KEC’s operations. Roger is retired as the engineering manager of the Idaho Department of Environmental Quality North Idaho office where he served the people of Idaho for over 31 years. His section administered over two hundred million dollars of loans and grants for water and wastewater upgrades and expansions. This involved oversight of all aspects of construction from planning and permitting through startup and compliance. Roger is a registered professional civil engineer who holds a Bachelor of Science Degree in Civil Engineering and a Master of Science Degree in Civil and Environmental Engineering. Roger and his wife Joli have been married for more than 40 years, have two children and three grandchildren. They live in the Cougar Gulch area and have enjoyed beekeeping there since 1978. Roger has served on the audit, policy, bylaws and expense committees and is currently the Board Secretary. He holds the second District At-Large Representative position. He provides KEC with insights in successfully working with permitting agencies and environmental groups to sort through issues and keep costs reasonable. He is committed to providing KEC members with exceptional service and dependable electric power at competitive rates. Crystal has 34 years of experience in the energy industry, with the last 17 being in the electric industry. She worked for Avista Corporation in Spokane, WA for 12 years in several capacities including compliance, regulatory, energy trading support, risk, and contracts. Currently, Crystal is the President and CEO of Proven Compliance Solutions Inc., a NERC compliance consulting firm specializing in assisting companies in the area of electric reliability. She has worked with hundreds of Utilities across the US and Canada that own and operate transmission, generation, solar, wind, and hydro facilities. Her experience includes working with the Federal Energy Regulatory Commission (FERC) and the Western Electricity Coordinating Council (WECC) on numerous projects over her career. She has the ability to bring people together to address and solve industry issues. She was one of the founding members and the first chair of the Western Interconnection Compliance Forum (WICF). Over 1,300 industry professionals participate in WICF, which provides entities within the Western Interconnection a venue to share knowledge and lessons learned regarding compliance matters, and to collectively develop best practices. 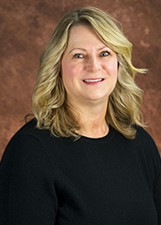 Crystal holds a BBA in Organizational Behavior and Management from the University of Houston, a Master of Organizational Leadership from Gonzaga University, a Master of Business Administration from Webster University, and a Master of Engineering and Technology Management from Washington State University. Crystal has been a member of the Cooperative since 1997 and was on the KEC Credentials and Elections Committee in 2017. She resides in Hauser, ID with her husband, and in her spare time, enjoys golf, camping, and traveling.